What Did John Gibbons Yell at Will Little, Anyway? I don’t claim to be an expert in lip reading, but I know expletives when I hear them … especially when it happens at the ballpark. 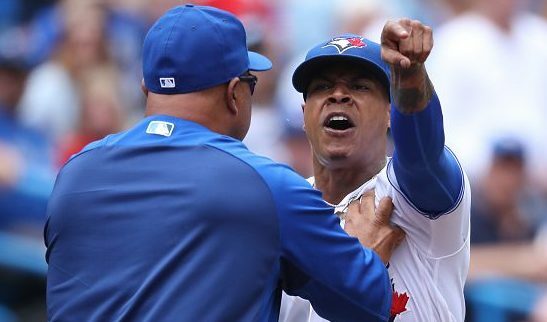 When John Gibbons unleashed a profanity-laden tirade against home plate umpire Will Little yesterday, I was a surprised that Gibby yelled so loudly that the ballpark mics picked up most of the heated exchange. Gibbons definitely didn’t hold back after he was tossed from the game. Here’s some audio from the John Gibbons ejection. Kudos to Mark Sheldon for capturing the exchange and posting it to Twitter. After watching this clip far too many times, I think I’ve pieced together what I believe to be the transcript of Gibby’s outburst on Will Little. Enjoy. (Gibbons from the dugout) Hey! Flip a coin! How is your f*#%ing day? Were you out all f*#%ing night? Nobody knows what you’re going to f*#%ing call. One time it’s up, one time it’s down. One time it’s in. This pitcher hasn’t walked four guys in his f*#%ing life. Don’t give me that f*#%ing shrug. Tell me you had a horseshit day – one time – we all do, okay? OHHHH, you’re not f*#%ing doing it. 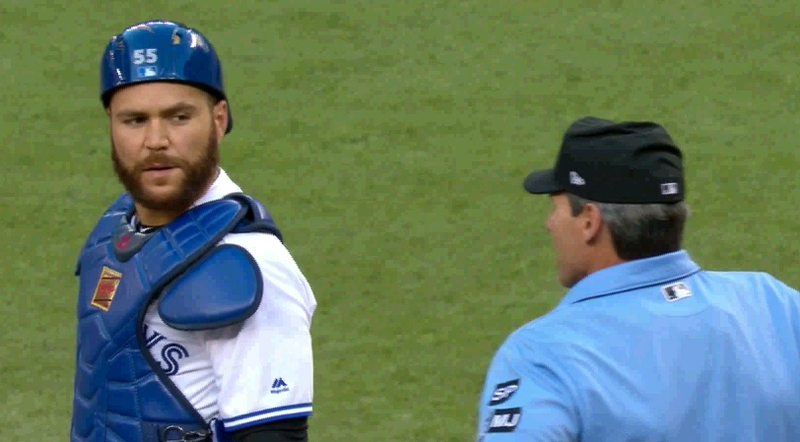 That little “shrug” John Gibbons was talking about? It’s this one from Will Little and it seems to be his go-to reaction when players and managers give him grief. The umping was the worst that I have seen.even the amateur umps have a well defined strike zone.little should be evaluated and demoted to the little league.his smugNess was disgusting. We wanted to watch a game not the little show he should be put on the gong shoe.